High-Protein Diets: Do They Work? Lose weight while eating steak, burgers, cheese, and bacon? High-protein, low-carb plans like Atkins and the Zone can work. But you should consider the pros and cons before you decide to try one. Women need at least 50 grams of protein a day -- men about 60 grams per day. With a high-protein diet, it can be much more than that. 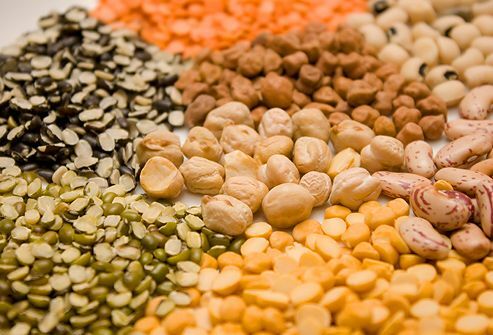 This extra protein can come from beans, meat, nuts, grains, eggs, seafood, cheese or vegetarian sources like soy. These diets often restrict carbs like cereals, grains, fruits, and possibly vegetables. How Do High-Protein Diets Work? When you cut out carbohydrates, you lose weight quickly because you lose water. Then, with no extra carbs, the body begins burning more fat for fuel. This can lead to ketosis, which may make losing weight easier because you feel less hungry. Ketosis may cause temporary headaches, irritability, nausea, bad breath and sleeping problems for some people. 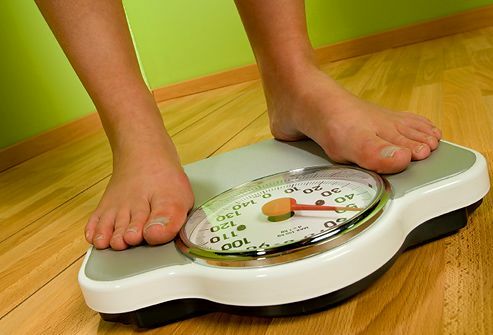 You can lose weight on a high-protein diet. Choose lean meats and dairy for your proteins. 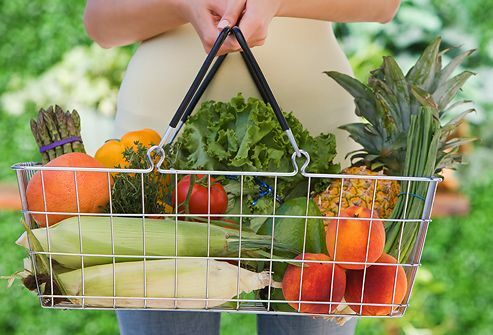 Find a program that includes vegetables, so you don't miss out on fiber and other important nutrients. Be choosy. The best high-protein plans focus on lean proteins and include some carbs. 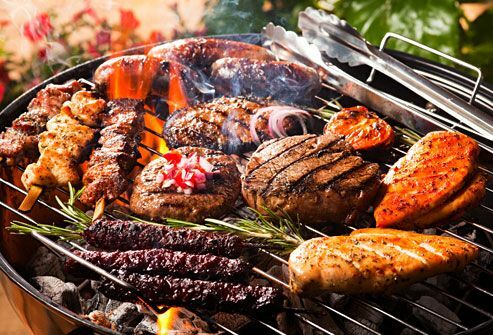 Avoid huge helpings of fatty meats and make sure to include vegetables. 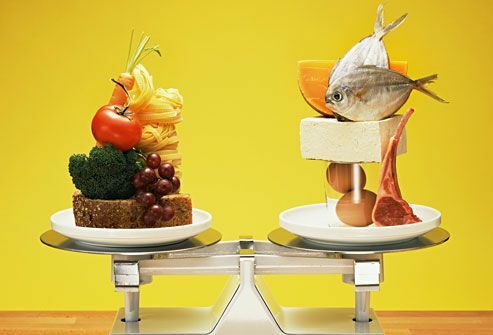 Ask your doctor, or a dietitian, to help you pick the right diet. 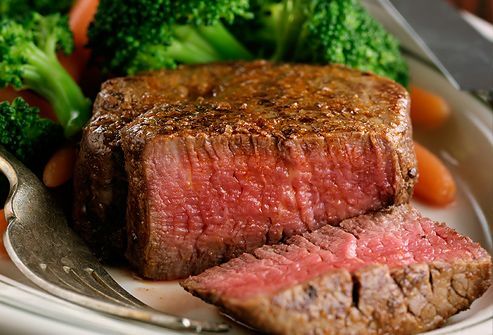 Nothing says protein like a nice, juicy steak. And if you choose a lean cut, you will get all of the protein with far less unhealthy fat. In fact, a lean cut of beef like a top round steak has barely more saturated fat than a similar-sized skinless chicken breast. 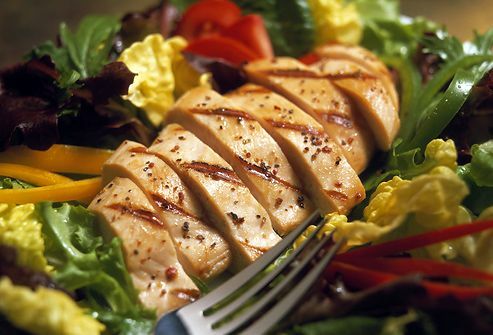 If you choose white meat when you're buying chicken or poultry, you’ll get a lot less fat than if you eat dark meat. Also, remove the skin, which has saturated fat. 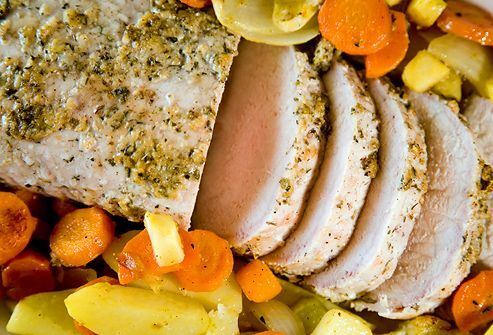 Pork offers plenty of protein without too much fat, if you know what type to buy. Look for tenderloin, top loin, rib chops, sirloin steak, or shoulder blade steaks. Pork cuts are much leaner than they were decades ago. 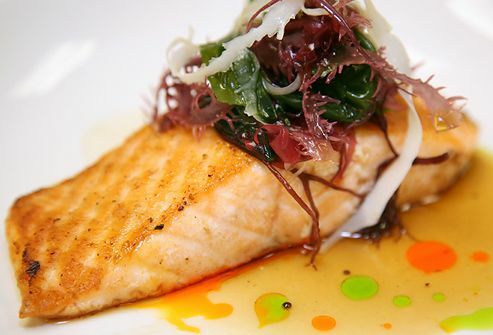 Fish is loaded with protein and almost always low in fat. Even the fish that have more fat, such as salmon and tuna, are good choices. 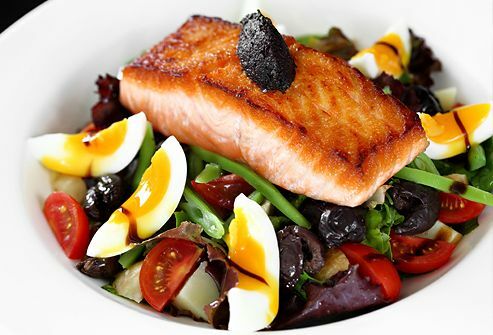 Those fish generally have omega-3 fatty acids, which are good for your heart. Most people don't get enough omega-3s. 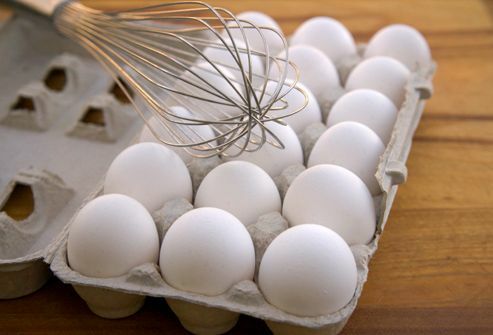 Eggs are a good source of lean protein. And even though there is cholesterol in the yolk, it is not as likely to raise your cholesterol level as foods that contain saturated fats and trans fats do. Protein doesn't come only from animals. 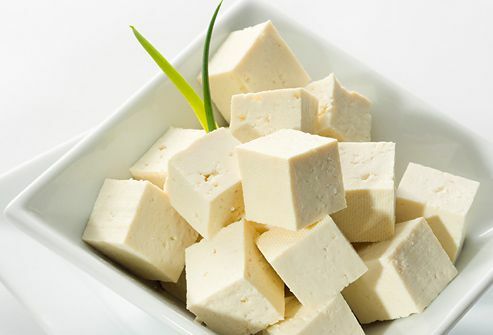 Tofu, soy burgers, and other soy-based foods are plant-based sources of protein. Bonus: Eating 25 grams of soy protein daily may help lower cholesterol. One and a quarter cup of beans has about as much protein as 3 ounces of broiled steak. Along with protein, the fiber in beans helps you feel full longer and also helps lower your LDL ("bad") cholesterol. 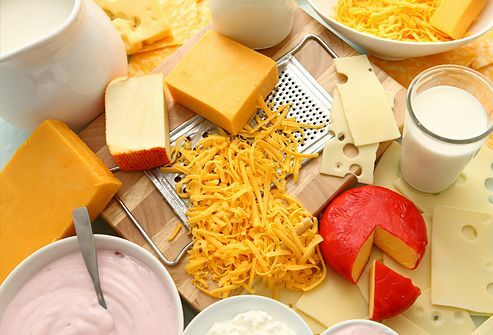 Milk, cheese, and yogurt give you protein and calcium for strong bones and a healthy heart. Low-fat, nonfat, or reduced-fat dairy products can help you keep calorie counts down. Most high-protein diets limit grains, so make sure the grains you do eat are pulling their weight. Favor whole grains. You'll get fiber and nutrients. 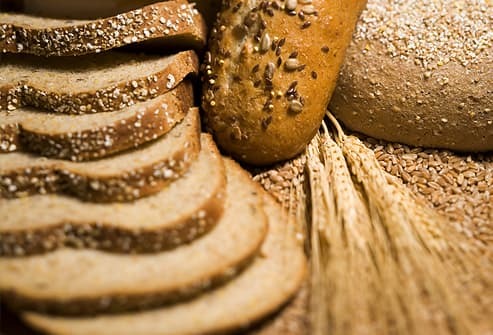 If you're buying products made with whole grains, check the labels to make sure they're not high in sugar or fat. Most low-carb diets still include some vegetables but often limit fruit. There's no known harm to cutting out fruit temporarily to keep your carb count down. However, for your long-term health choose a plan that includes fruit after you reach your weight goal. Academy of Nutrition and Dietetics: "Cut Out the Fat." Anderson, J. Journal of the American College of Nutrition, October 2000. Crowe, T. Obesity Reviews, August 2005. National Council on Strength & Fitness. 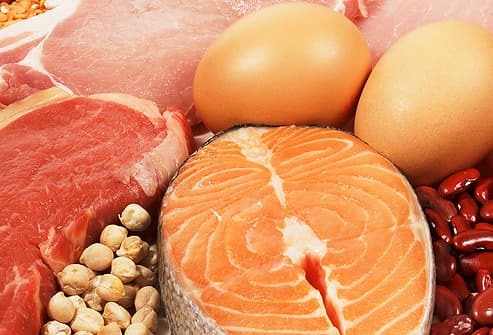 National Institutes of Health: "How Much Protein Do You Need?" Weigle, D. American Journal of Clinical Nutrition, July 2005.